Just Jeeps Jeep Wrangler TJ | Jeep Parts Store in Toronto, Canada. Every Jeep enthusiast knows all about the “Second Generations.” The Jeep Wrangler TJ has brought back signature Jeep features including the unforgettable round headlights. Above any other Jeep model, the Wrangler’s flexibility, mobility, and attitude are what defines Jeep. Wrangler drivers love their Jeep’s flexibility. More than any other vehicle, including other Jeep models, Jeep Wrangler TJ is customizable in different ways. At Just Jeeps, we enjoy being part of the process of customizing Jeep Wrangler TJ. We love your favorite Jeep Wrangler TJ as much as you do and we will be thrilled to see you transform it into a better Wrangler. This is the primary reason we provide a vast array of Jeep Wrangler TJ accessories, both exterior, and interior, from different top manufacturers. Our products are durable, strong, and come in a variety of sizes and varying models. 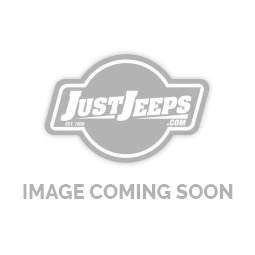 We offer perfectly designed Jeep Wrangler TJ parts and accessories designed to enhance your vehicle.